After two-and-a-half years of alleged frustration, five ward commissioners of Digboi Town Committee (DTC) finally moved a ‘no confidence motion’ against the chairman, Shipra Mallick here on Monday evening. 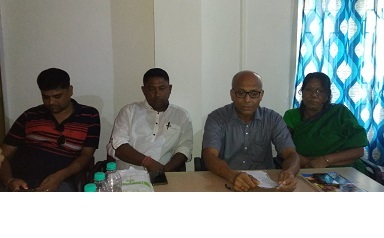 Addressing a press conference here on Monday evening, the disgruntled five ward commissioners, out of 8 including Basant Pradhan – Ward 1, Bhaskar Jiban Baruah – Ward 3, Bonti Chetia – Ward 8, Sushanta Bhattacharjee – Ward 4 and Preety Kherwar of Ward 5, alleged that the present chairman of the town committee, Shipra Mallick, has hijacked the civic body and under the influence of the other three ward commissioners, utterly failed to deliver and address the problems of the residents in all the wards due to her “step-motherly” attitude towards them. Moving the non-confidence motion in written addressed to the SDO (Civil), Margherita, five ward commissioners raised allegations of financial irregularities, misutilisation of resources and negligence towards their wards by the chairman resulting in zero development for last two-and-a-half years. The former Congress chairman of DTC, Bhaskar Jiban Baruah, said that the opposition as well as the ruling BJP ward commissioners were being neglected over a period of time and not a single penny has been released to the members for development projects. “Even the monthly board meeting has not been conducted for the past several months,” alleged Baruah. There has also been allegation of ‘commission raj’ over awarding contracts. “One Debabrata Das alias Chintu, the husband of the ward commissioner of Ward 6, Purabi Borah Das, has been allegedly procuring several projects without tender solely due to special favour of the chairman,” alleged Basanta Pradhan.